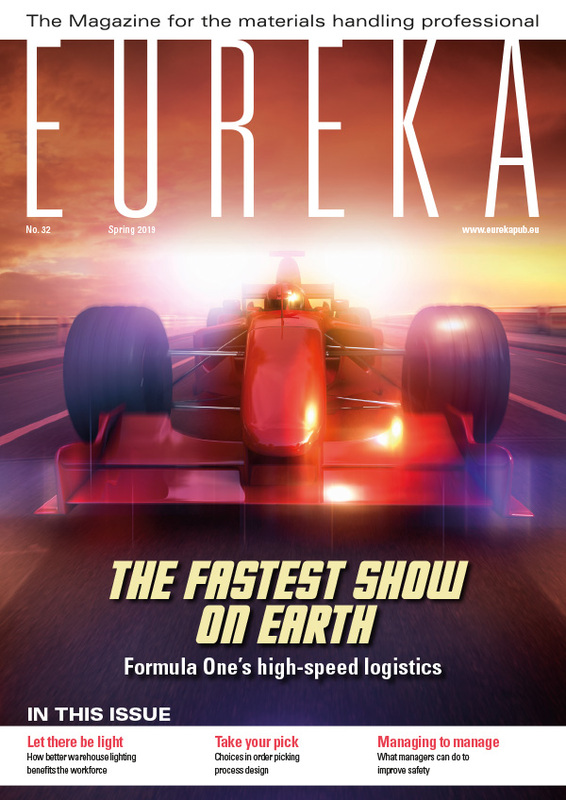 At best, ‘bad’ diesel reduces the efficiency of your lift trucks’ performance. At worst, it causes serious and expensive damage. If you think you can avoid this by buying only ‘good’ diesel, you are mistaken. 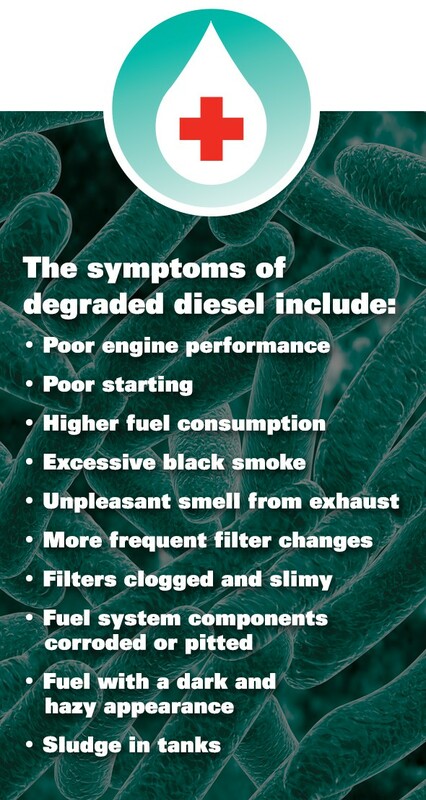 The changes that turn good diesel bad usually take place on your own premises. Suppliers of diesel in the EU and other economically developed regions are governed by rules on its quality, content and storage, so you can expect it to reach you in good condition. Always buying from a supplier with a good reputation lessens the risk of careless handling and storage in the supply chain from the refinery to your business. The differences between brands of diesel tend to be in the mix of additives used. Even under the best conditions, chemical activity will eventually change the nature of stored diesel. The products of that chemistry include solid materials which form a slimy layer on surfaces and a sludge at the bottom of tanks. Water is bad news for engines on its own, but it also encourages microbial growth which speeds up the chemical degradation. Let’s look at each of those interacting factors in turn to see where they come from and what effect they have. As soon as diesel is exposed to air it reacts chemically. This starts off chain reactions that result in more and more undesirable molecules and solid breakdown products. As well as causing blockages, these substances are often corrosive. If you store diesel, they can become a problem within a few months – and even sooner if water and microbes increase their production. Diesel can become ‘wet’ through leaks in storage tanks and absorption from a moist atmosphere. Water in diesel is directly damaging to some engine components and it interferes with fuel combustion. It also reduces the fuel’s lubricating effect, exposing engines to excess wear and damage. In a metal storage tank, water can lead to corrosion and further contamination. In addition, the presence of water helps microbes to thrive. Water in diesel is directly damaging to some engine components and it interferes with fuel combustion. Diesel is an organic substance which can be used as food by a variety of bacteria, fungi and yeasts. Arriving via the air, in moisture or from a contaminated supply, these microbes can multiply hugely. Their acidic by-products, along with the slime created by their own biomass and by breakdown of the fuel, can be highly damaging. They form a layer or biofilm on surfaces, often collecting in pits and crevices where their corrosive effect becomes even more concentrated. Slime and sludge produced by these factors blocks filters and fuel lines, while the acids affect engines, fuel systems, storage tanks and any other vulnerable surfaces coming into contact with them. Combustion efficiency decreases, engine life is shortened and bills for replacing components become more frequent. Once microbes have infected a forklift truck they are very difficult to eradicate. For completeness, it should be mentioned that other materials can contaminate fuel. Abrasive particles of rust, dirt and sand are particularly to be avoided in engines. Before discussing solutions to diesel problems, it is worth noting that the composition of this fuel has changed over the years and is likely to continue changing. Regulations on reduction of sulphur, to clean up exhaust emissions, have led to the use of ultra-low sulphur diesel (ULSD). Sulphur increases the lubricant properties of diesel, so engines using ULSD may wear more quickly. Throughout Europe, biodiesel (biologically produced diesel) is now blended with the fuel to improve lubrication. Unfortunately biodiesel breaks down more quickly, absorbs more water and is more hospitable to microbes. With biodiesel, even greater care must be taken to protect the fuel from contamination. Store with care. The changes that turn good diesel bad usually take place in your own premises. The first steps toward avoiding diesel quality problems are to buy it from a reputable supplier, as already mentioned, and to store it in suitable, well-maintained tanks. Regulations on storage of diesel vary a little between countries in Europe and mainly concern the potential environmental impact of leaks reaching water bodies and other natural habitats. For diesel users, avoiding the loss of expensive fuel should be a strong enough incentive to ensure vigilance against leakage. Safety legislation is stricter for petrol than for diesel, but it must always be remembered that all fuels are flammable. Keeping storage tanks away from sources of heat is essential, and a cool environment also helps in maintaining the diesel’s condition. Some people may believe that the fuel filter in their forklift truck’s engine will remove any contamination. This is unlikely. The fuel you put into the truck must be kept clean and in good condition within the storage tank. If diesel is stored at a low temperature, and certainly below 70 ºF (21 ºC), and care is taken to avoid contamination, it should last for a few months. 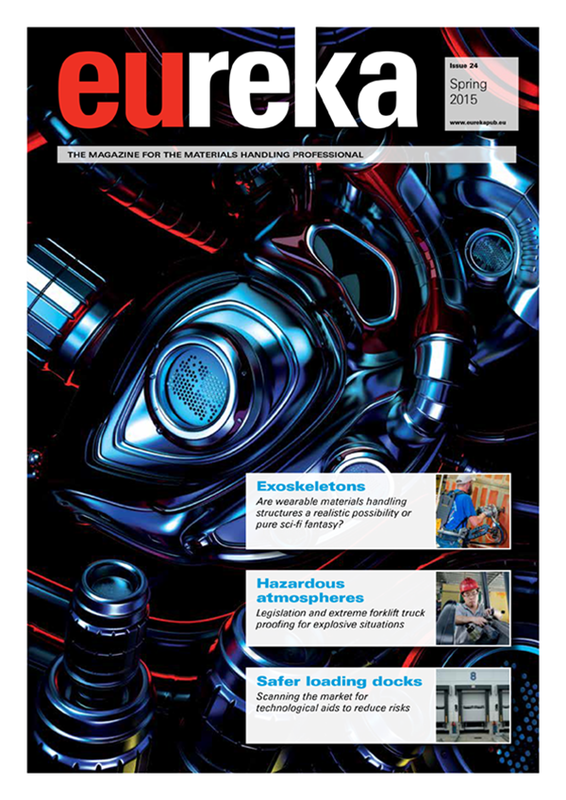 To extend its life further, fuel stabilisers, biocides and other treatments may be needed. A storage tank should be regularly checked for any defects that could let diesel leak out or water leak in, while openings should be water-tight and caps should be secured. The space between the fuel and the top of the tank is filled with air, which can be a source of moisture. Ideally that space should be kept to a minimum, allowing only enough for expansion of the fuel. This is another good reason for topping up frequently with fresh diesel from the supplier rather than storing large amounts. 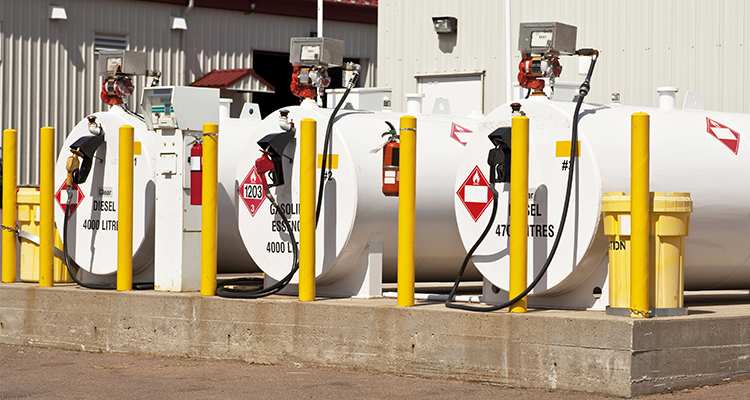 A variety of fuel stabilisers can be bought for use if diesel has to be stored for relatively long periods. Regular, routine testing of stored fuel for water and microbial contamination is a sensible precaution. Simple-to-use test kits are available for this. The sooner these problems are detected, the easier and less costly they are to tackle. If fuel is heavily contaminated by microbes, a large dose of biocide can be used to kill them. The dead bodies of the microbes, along with the solid material they have helped to create, need to be filtered out before the fuel is fit to use. Killing all of the microbes is difficult when they are living deep within slime and sludge, so biocide treatment will not work unless the storage tank is thoroughly cleaned. Simple measures to reduce contamination risks include using a filter whenever moving fuel from one storage vessel to another, or into the tank of a forklift truck, and always doing this in a dry, dirt-free place. At the other end of the scale, for operations that really do require long-term storage of diesel in large quantities, there are specialists who can supply automatic systems for cleaning and removal of solids, water and microbes. Having invested heavily in your forklift trucks and your business, it makes absolute sense to protect them. The subject of diesel storage problems is a complex one and this article should be seen as just a brief introduction to it. Advice available in the marketplace varies substantially, so before deciding on which actions to take it would be best to speak to a number of different specialists including suppliers of fuel, testing services and treatments.